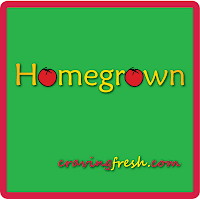 Craving Fresh: Homegrown - Who let the wetas out? 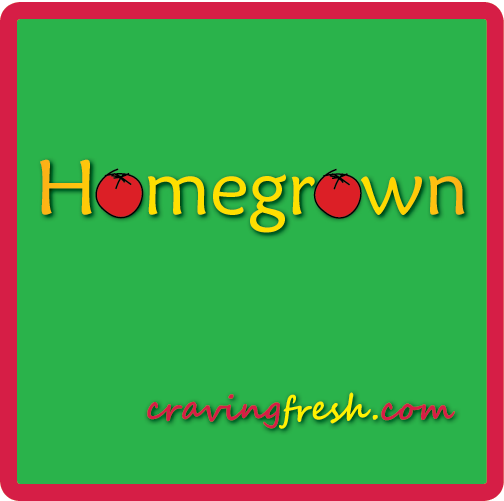 Homegrown - Who let the wetas out? I was a happy chappie on Saturday when our landlord showed up disguised as a landscape gardener and announced he was going to prune our overgrown trees, shrubs and hedges. I walked him around the property, getting more and more excited as he said, "Yes" to my requests for pruning, as well as general maintenance. That afternoon he went to town on the trees and shrubs blocking the sun from our patio area. It's lighter and more open now, which will be especially welcome this winter. We live on the side of a hill, and lose the sun quickly in the evening. All those trees were uphill, so hastened the sun-loss by a couple of hours. Not any more. My raised garden should do better for the pruning, as it will get a bigger dose of afternoon sun now. I'm glad about that since it's the only garden I plan to continue over winter. I'll dig manure into the others and leave it to rot down in time for spring planting. This is still a work in progress, as I need the landlord to take away what I cleared so I can get in and attack the rest. I was also put off by a determined weta on one section of ivy. He looked at me menacingly every time I came near, so I left his turf well alone. Did I mention this was after I had already found one weta crawling up my bare arm? I impressed myself by continuing to work at all after that incident. Picture one of these clinging to your bare skin. I didn't even scream. OK, that's a lie. I may have squealed. But those things are huge. I know they're New Zealand natives and we're meant to love them, but do they have to be so spiky and creepy looking? Haha, wetas are creepy (used to live in NZ and was woken one night when one crawled over my arm, I'm shivering just thinking about it! ), but snakes are worse! I haven't seen one in our yard yet, but the threat of snakes is enough, we wear long sleeves, jeans, boots and gloves for any pruning work, even in the middle of summer, just in case! Hmmm, compost. I never seem to have much luck with compost. But you've given me an idea for some of the other ivy I pulled out last year and a big pile of dirt I have. I'll see if I can jimmy some black gold magic out of that.